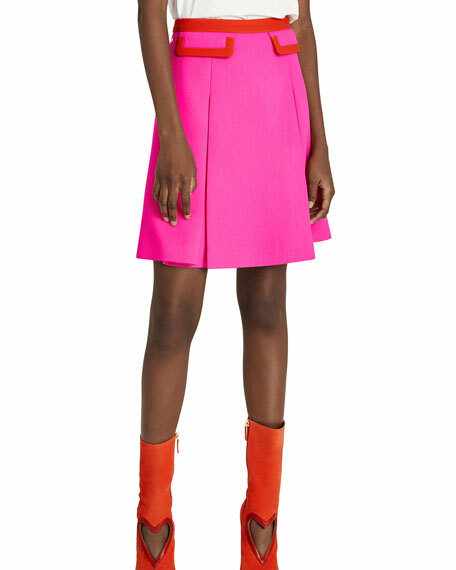 Short skirt in shocking pink wool crepe. 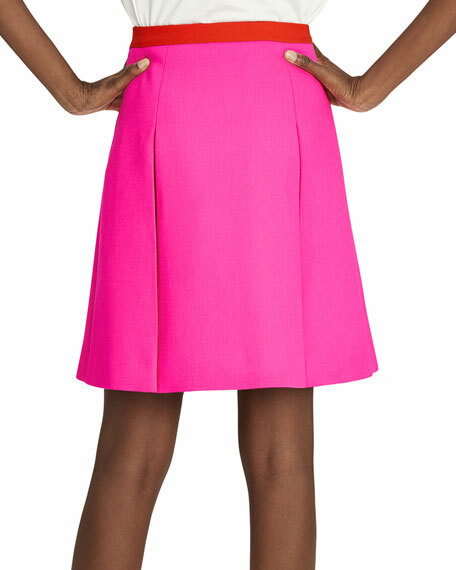 Schiaparelli skirt in wool crepe, featuring contrast trim. Mid rise; hip flap detail.